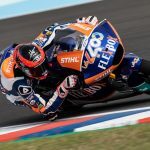 The FlexBox HP 40, which arrived in Argentina with Baldassarri leading the championship, is looking to make a good weekend at the circuit of Termas de Rio Hondo, an unknown track for Augusto Fernández. The first day has been very positive for both riders. 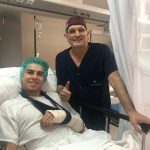 In the morning they have already placed inside the top 10, but it was in the afternoon when the pupils of Sito Pons have confirmed the good work done. 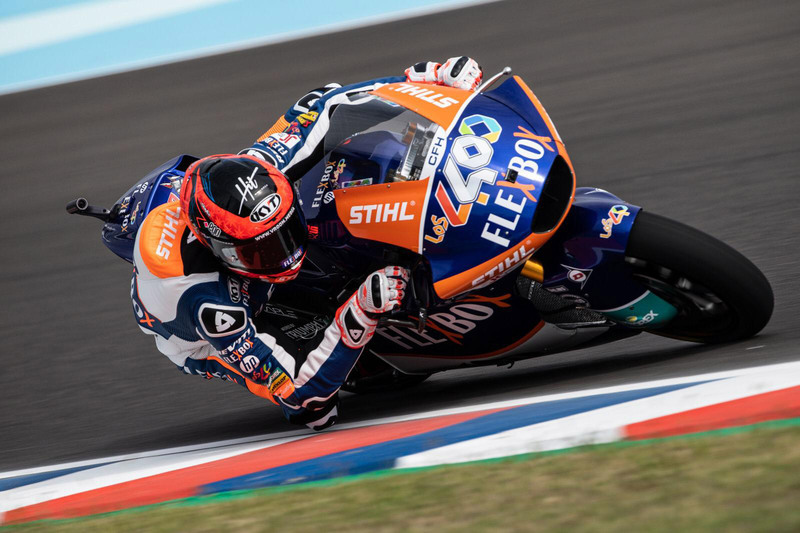 Augusto, on his first visit to Argentina, has worked very well with his technical team and placed in the fourth position in the combined times, stopping the clock in 1:43.518, just over a tenth of the fastest time. A great start of the Spanish rider in Argentina. “I’m happy with this first day in Argentina. It is a new circuit that I did not know and the truth is that we have adapted quite quickly. In the morning it has cost me more, which is normal, but in the afternoon both the bike and I have improved and we are on the right way. We finished the day in fourth position, happy, and tomorrow we must continue working like this”.